Thanks for stopping by Sparks' Treehouse, the official online home of Sparks! 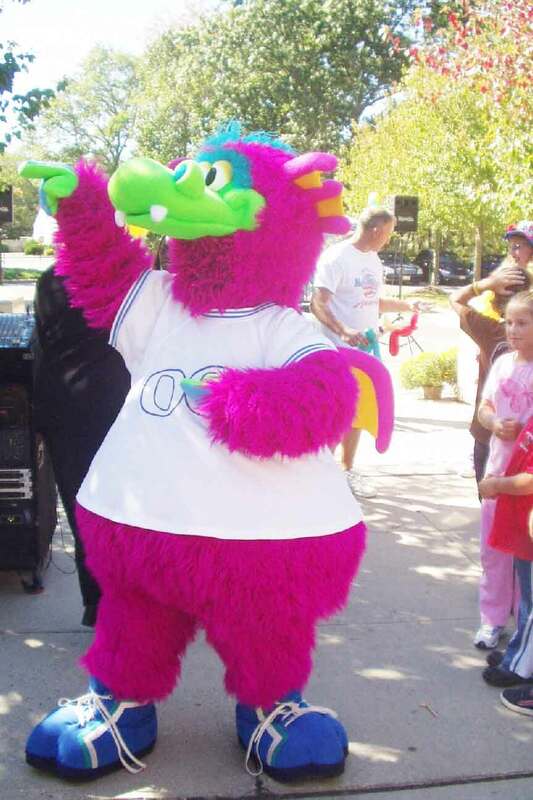 Sparks is not only a dragon; he is the official mascot of the Ocean County Library! He loves travelling up and down the Jersey Shore, not only sharing his love for the Ocean County Library, but encouraging people to read! 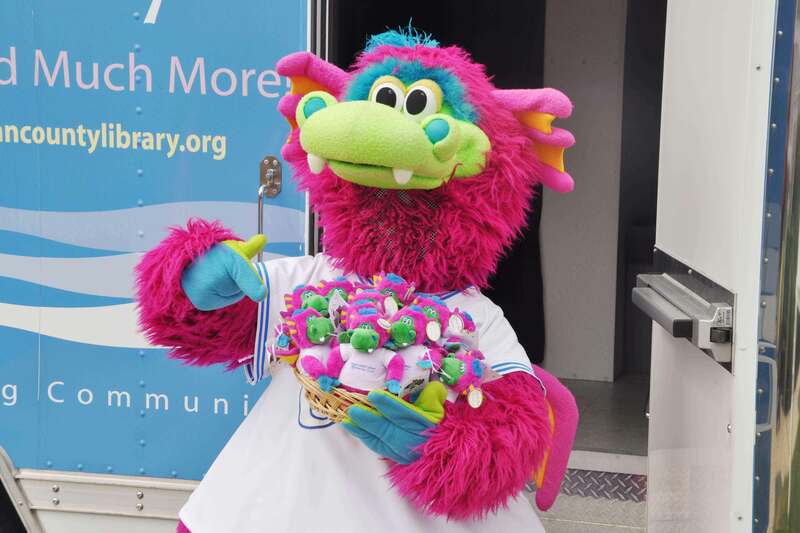 Sparks is not only a dragon but the Ocean County Library's new best friend. He wants everyone to know that, no matter how old they are or where they are from, they are welcome at all 21 locations of the Ocean County Library. Most of all, Sparks wants to have fun getting the word out about all the great things the library has to offer from books, music, videos, story times, concerts, programs for children, and author visits. 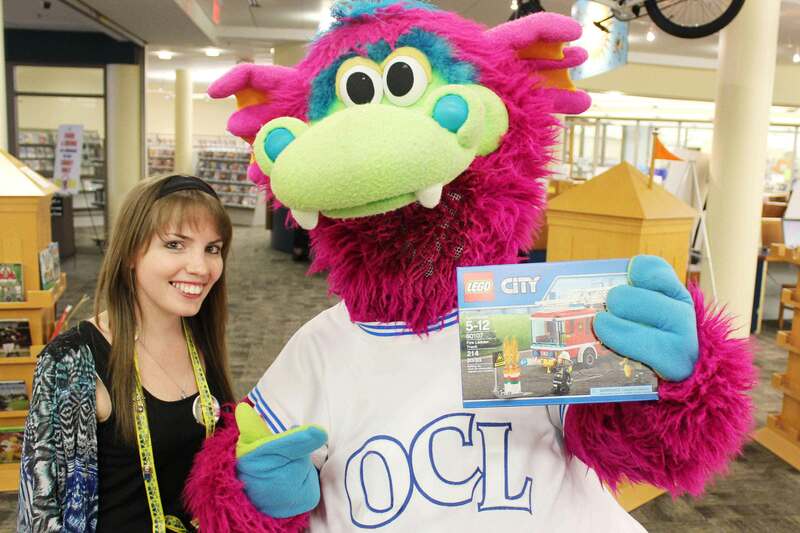 Be on the lookout for Sparks at your local branch of the Ocean County Library and at upcoming community events! Weight: As light as a feather – but that must be an awfully big feather! Color: Magenta with wings the color of sunlight and accent colors so bright that a sensible person might want to wear sunglasses if looking directly at him on very bright days. Favorite Foods: Blueberries, cranberries, Jersey tomatoes and corn-on-the-cob, clam chowder, ice cream, Red Hot candies, barbecue food, and chili – the hotter the better! Favorite Hobbies: Exploring. He and his family have traveled across the globe learning about all the many people of the world. When he gets older he’ll be able to travel on his own, so right now he spends his time exploring Ocean County all by himself. Favorite Place: The Ocean County Library, of course! Sparks thinks the library is the “hottest spot” to visit. He thinks it’s cool that the library likes to “explore,” too, by visiting so many places like schools, fairs, parades, and malls. Most Prized Possession: Sparks is very proud to own an Ocean County Library card of his very own and he uses it every day to take out books, music, and movies. He says he even uses the computers at the library to email all the friends he has met throughout the world. Best Day Ever: Sparks says his best day exploring was the day he discovered his new friends at the Ocean County Library. He also loves to meet his library friends when they visit schools, fairs, parades, baseball games, and the Ocean County Mall! Special Skills: Sparks loves to wiggle his wings trying to fly (which he can’t really do but he tries anyway). Sparks can’t breathe fire, but he likes to pretend he can. He knows he looks a little silly when he tries, and he gets a kick out when he manages to “spark” laughter from his family and friends. 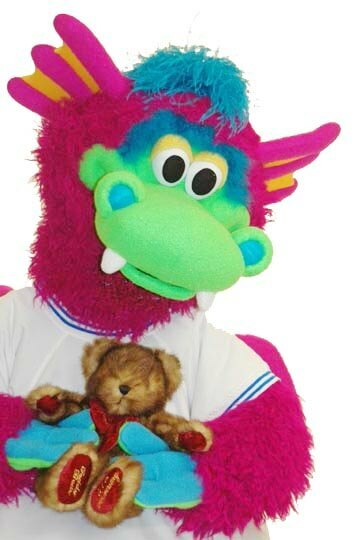 While Sparks can’t breathe fire he can still fire up the imaginations of young people and inspire them to read. Sparks is a “Jersey Dragon”, also known as a “Sand Dragon,” but of no relation to a “Snap Dragon,” or the fiery tempered dragons found in fairy tales. He does have relatives who live in Toledo, Ohio but they don’t breathe fire either and are quite nice neighbors other than having very bad breath from eating too many bowls of hot chili. Sparks lived on a magical island, visible only to dragons, in the Barnegat Bay. He and his family lived there for a long, long time. His great, great, great, great granddragon, Amelia, first came to America during a time when there were some places in the world that were not very nice to dragons. They live happily on their island paradise and also spend a lot of time at their tree house in the Pinelands. Sparks lives in an invisible tree house at the Ocean County Library. 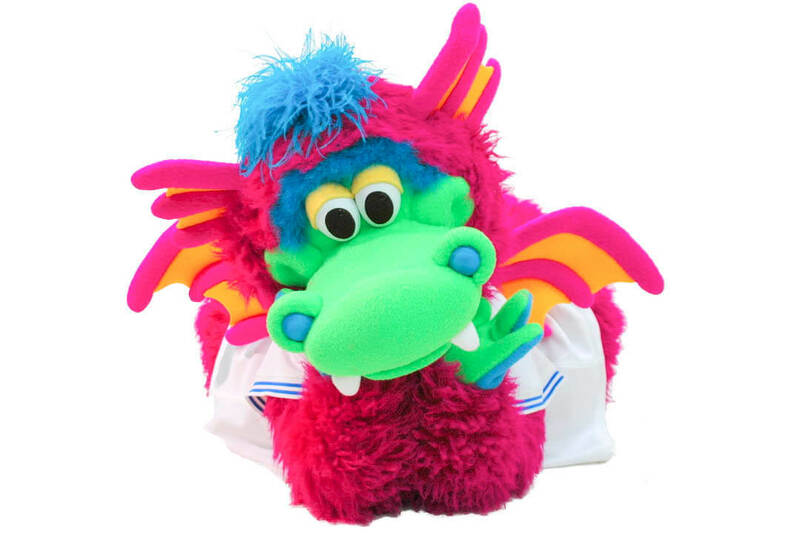 It all began one day when Sparks was exploring and he saw a group of children carrying a huge bag filled to the brim. He was so curious to know what was in the bag that he stopped them and asked. The children explained that they had just come from the Ocean County Library where there are lots of books, DVDs, and CDs. Sparks looked at the bag of everything the children had borrowed from the library and suddenly felt very sad because he wished he could go to a library, too. The children told Sparks that anyone who lives in Ocean County can visit all the 21 locations of the library and check out anything there that they want and go to all the fun story times, crafts, and concerts the library holds. Sparks was so happy he could use the Ocean County Library he wiggled his wings and jumped for joy! Sparks brought his whole family to the Ocean County Library and they all got library cards. Because Sparks loves the library so much, the librarians got together and decided he should be our official mascot! Since that time he has been visiting places all over Ocean County. He has met many others who love the library as much as he does and helps others. He is perhaps the most popular dragon in all of Ocean County. 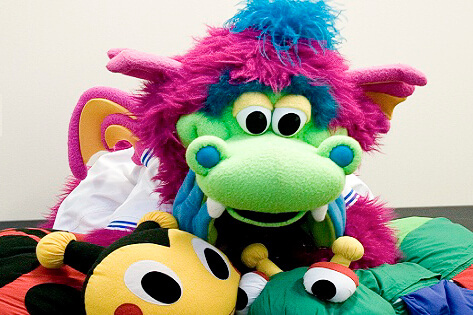 Sparks has his own free fan club that young people can join and he has his own plush doll that can be adopted and brought home. Parents and guardians just need to visit the circulation desk to learn more about how to acquire a cuddly Sparks doll that looks just like Sparks himself. Sparks is out and about in Ocean County! Sparks Dolls make great reading buddies! Stop by any of the 21 Ocean County Library branches to pick one up for $10! Proceeds benefit the Ocean County Library Foundation. Watch Sparks get his own library card! Sparks loves hearing from his fans and friends! There are several ways that you can get in contact with everyone's favorite book-loving dragon! 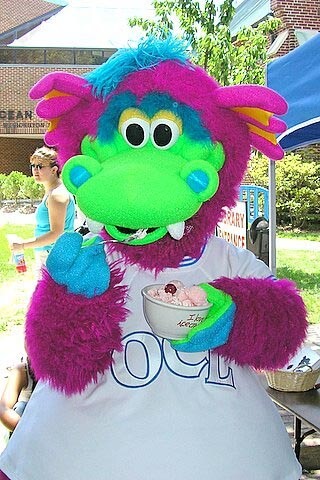 The Ocean County Library Mascot Sparks wants you to join him! You can become an official member of the Sparks Fan Club! An autographed picture from Sparks! To join, print this form, fill it out and bring it to your local branch. If you are signing up more than one person, use our convenient family form. The form is also available en español (Inscripción en el club de Entusiastas Sparks). How do I join the SPARKS Fan Club? 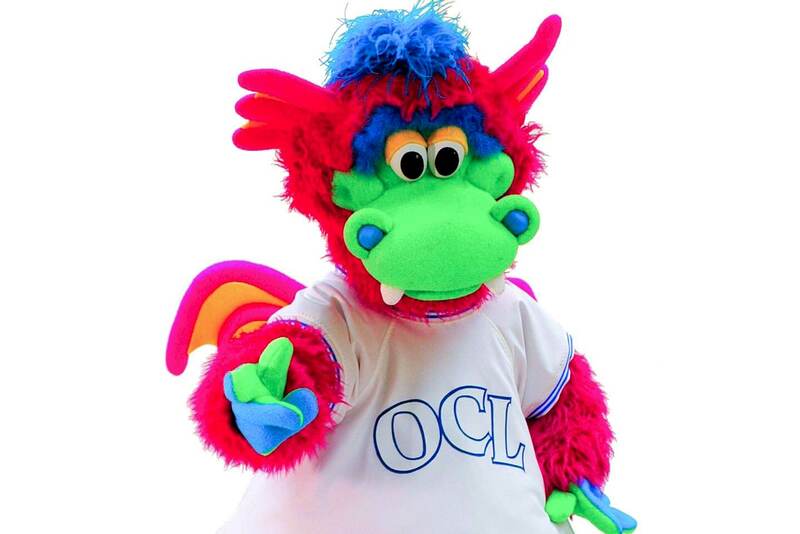 You can sign up at any OCL branch or you can download the enrollment form. After completing the form you can either mail or drop off the form at any branch of the Ocean County Library. 2. What do I get when I join the Fan Club? 8X10 autographed picture of SPARKS! Also, if you chose to, you can have SPARKS! send you a special Birthday Card Greeting. 3. Can I enroll on the Internet? No, however, you can download the form from the Internet. 4. Can I get a Birthday Greeting? Yes, if you join the SPARKS! Fan Club you have the option to receive a Birthday Greeting. 5. Do I need my parent’s permission? Yes, if you are under 13 years of age you do need a parent’s permission. Your parents need to sign the enrollment form granting their permission for you to join. 6. Is my privacy protected? Yes, your privacy is completely protected. OCL does not distribute or share private information with any organization. 7. Do I need to have a library card to join the SPARKS! Fan Club? It is not necessary to have a library card to join the club; however, SPARKS! does encourage all fans to get their very own SPARKS! Library Card! 8. When can I join the SPARKS Fan Club? 9. After enrolling, when do I get my membership kit? The official SPARKS! Fan Club membership kit will be mailed to your home in approximately 4 – 6 weeks after your enrollment is received at the branch. 10. If I send SPARKS! Fan Mail does this make me a member of the SPARKS! Fan Club? No, the official Fan Club enrollment form or a copy of the official Fan Club Enrollment form needs to be received at any Ocean County Library Branch in person or through postage mail. 11. Do I have to be a child to enroll?